Meditation is rooted in the tradition of the Catholic Church. It is a personal and intimate conversation with God. But, some people do not know how to get started. In this video, Fr. John Bartunek helps us understand how to approach God through faith, how to use the “Four Cs” of Christian meditation: Concentrate, Consider, Converse, and Commit. 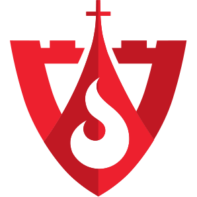 To learn more about this method and to dig deeper into your relationship with Jesus Christ through Christian meditation, please consider purchasing Fr. 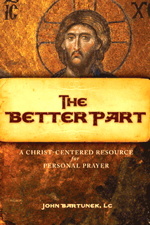 John’s fantastic book The Better Part – A Christ-Centered Resource for Personal Prayer. Detailed steps on each of the “Four Cs” mentioned beforehand are provided in this very popular book. Art for this post on The Better Part and the Four “Cs” of Christian Meditation — A Video Resource: Cover of Father John Bartunek’s book “The Better Part: A Christ-Centered Resource for Personal Prayer” is copyright and is used with permission, all rights reserved. Video of How to Meditate (using the four C’s of Christian Meditation) provided by Dan Burke and Fr. John Bartunek is also copyright and has also been used with permission; likewise, all rights to its use have been reserved.